As promised, I did up a financial report of Challenger Technologies. If your living in Singapore, you pretty much know everything there is to know about Challenger. Its a simple business model – selling a wide array of electronic goods throughout the island. Loo Leong Thye has done an impressive job of growing Challenger from its store in Funan to recognizable brand around Singapore. I really like businesses that have great franchise models (think McDonalds, Starbucks, KFC). A proven success formula is always preferable to a business model that is tested & unproven. 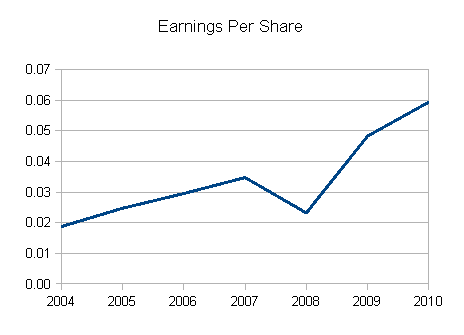 Revenue & Earnings have been increasing steadily over the years. This is probably due to the expansion of Challenger Technologies into different parts of Singapore. Challenger has also done exceedingly well on this front. 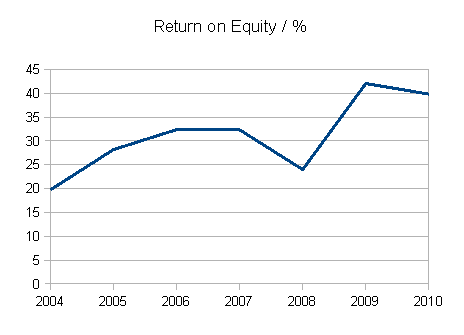 Its Average Return on Equity over the past few years is 31.2%. What really liked about Challenger was that it had almost no debt on its balance sheets. Returns on capital are almost identical for that reason. 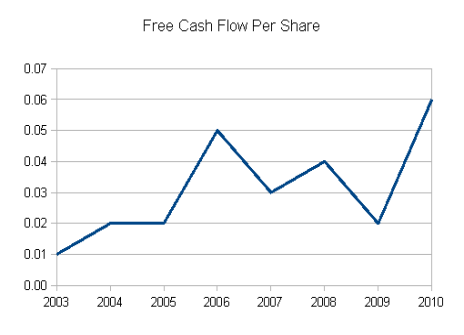 Free Cash Flow – like Revenue and Earnings has grown comfortably over the past few years. Always look out for companies with consistent and healthy free cash flow. 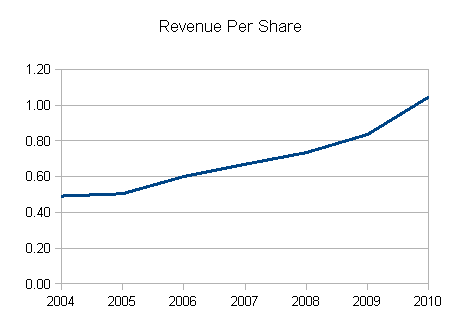 Free Cash Flow allows companies to fund their acquisition’s/expansions/capital expenditures easily without much debt. Always remember – Cash is King. I like Challenger Technologies a lot. Before the run-up in price, I found Challenger trading at an extremely attractive valuation. Its price has since appreciated around 50% in the last 3 months (mainly due to the shares issue) so it offers a much smaller margin of safety than before. Nonetheless, I recommend keeping it on a “To – Watch List” for any price dips. I think that Challenger will continue to growth steadily over the years without much hiccup. Disclaimer: The author is long Challenger. hi juno, challenger is a business that continues to make me not understand market forces. what is the retain cash after paying out dividends? Hi Drizzt what do you find confusing about Challenger? It had FCF of about 16 Million and paid about 6 Million in dividends to shareholders. to say thank you for a tremendous post and a all round enjoyable blog (I also love the theme/design), I don’t have time to go through it all at the moment but I have saved it and also included your RSS feeds, so when I have time I will be back to read a great deal more, Please do keep up the awesome work. it, you’re a great author. I will be sure to bookmark your blog and definitely will come back in the future. I want to encourage yourself to continue your great work, have a nice weekend! oven. Whether you want to make it for yourself or someone else, making these rings is quite satisfying endeavor. arrangement nowadays. Vegetables that grow underground such as carrots or beets, will contain a higher level of natural sugars than above ground veggies.